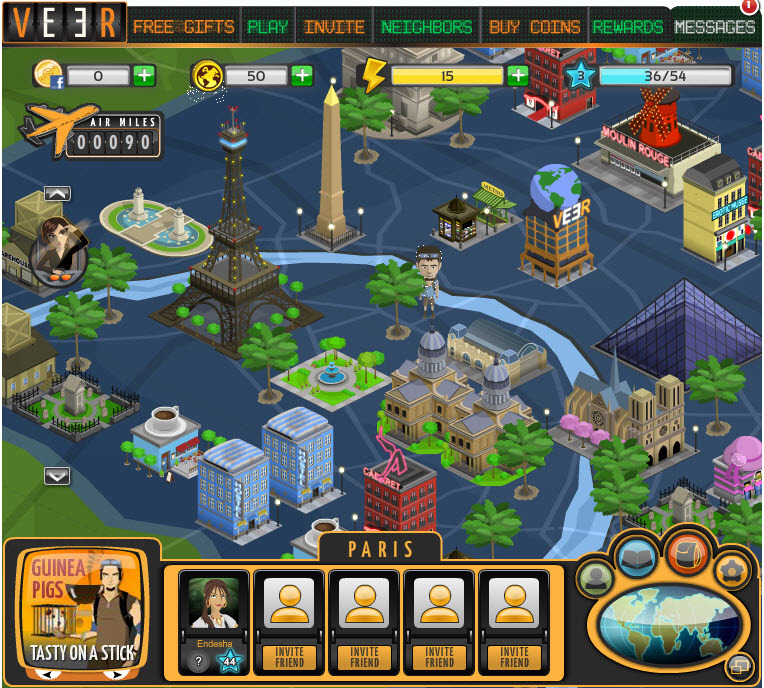 I’ve been working on a facebook game called Veer (launched on January, 4th, 2012) for my client, Handson Entertainment . In this game, you play as a reporter, like Lois Lane, working for a news station, Veer. You begin your journey in a remote island called “Tuto Island” where you learn the basics of the game and then, as you level up, you will be taken to cities/places such as Paris, Monaco, Zanzibar, Beijing, etc. to hunt for interesting news. 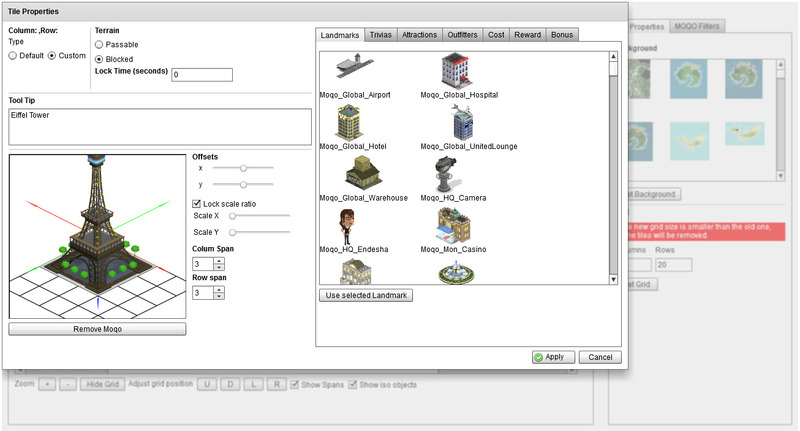 Based on your locations and levels/experience, you will have different missions/tasks from finding a missing colleague, locating a run-away celebrity, and so on. Also, you get to visit famous landmarks like The Eiffel and Louvre Museum in Paris. 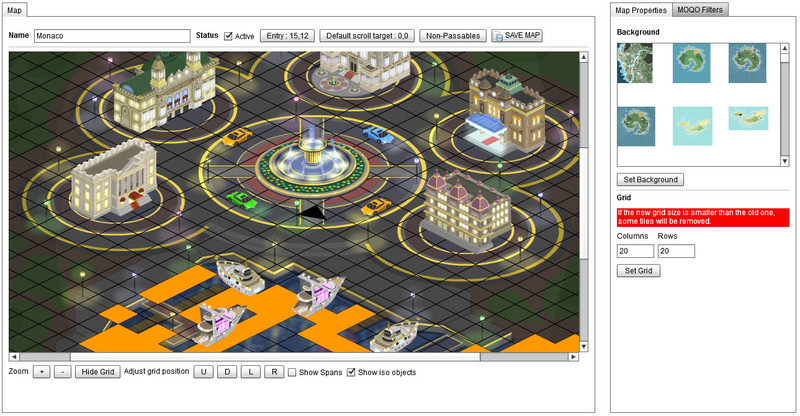 The game was originally built as a hexagonal-tile game but my client decided to switch over to isometric in a later stage. Fortunately, I have enough experience with as3isolib so I managed to replace the hex engine while keeping most parts of the codebase relatively unchanged in just 3 sleepless days. 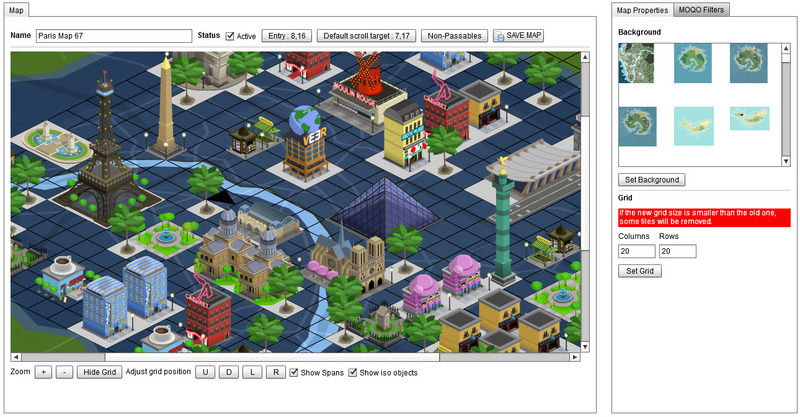 The project involved 3 flash developers, 4 rails developers, a couple of artists/animators, and a lot of QA guys. 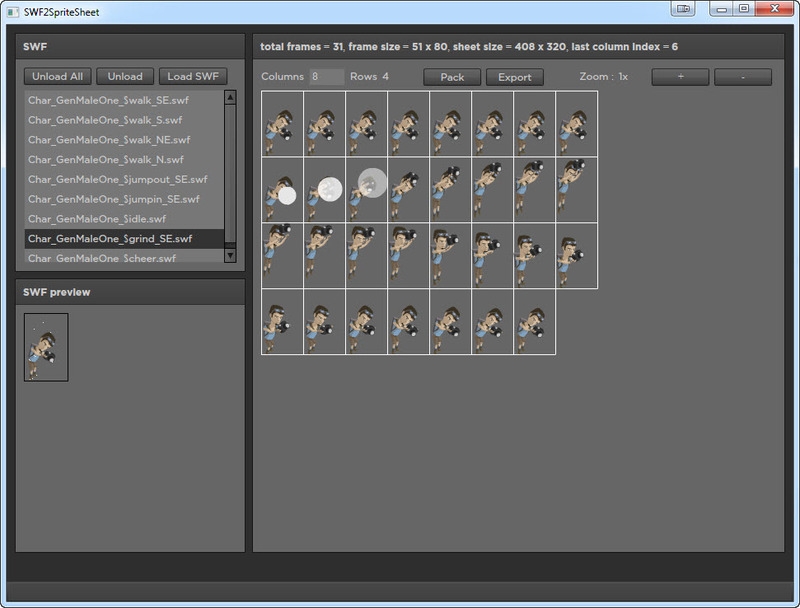 I developed the game framework, the rendering engine, and also tools for game designers/artists. 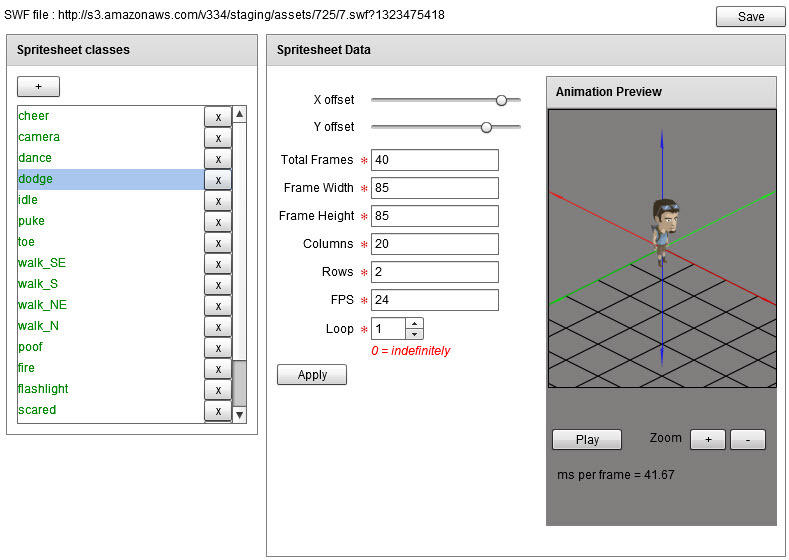 Due to its simplicity and ease of use, I chose Robotlegs framework as the foundation of the game framework to connect all different parts/modules and make them work together. Here are screenshots of the game and the tools I built. masputih hats off. Looks like the project is really big and complex. Have fun with it! Wow great job could you tell what tech you used to create the server/client and the data transfer???? i started recently an i a bit lost there is not to much info of how to create a real time isometric game on the net, if you now of any can you tell me please…keep the great job. We’re using Rails on the server and JSON as the data format. If you sniffed the game’s traffic you would see it’s all plain HTTP requests. If you want a realtime multiplayer game you should look at socket servers like smartfox or electroserver or red5. player.io is an interesting alternative to self-hosted server if you know some .Net programming. Thanks for the fast response, already testing smartfox and until now all works fine…. well time will tell…. when i got something ready i will post again until then keep creating new as3isolib knowledge jejeje. That looks excellent! Ive just recently started learning as3 and picked up as3isolib. Can anyone point me to a more complete (yet still basic) tutorial on as3isolib? Ive been googling and reading like mad for more than a week now. So far, the tutorials Ive read have only taught me to make a map and moving a box around. Nothing like a complete simple game. I can already make simple 2d games with as3 and before I picked up as3isolib was on my way to making an isometric-looking (just a static map) board game but I’m sure the code in it was very inefficient (pixel perfect collision test to determine player pathfinding!) although it did do pretty much what I wanted to do. Yeah, that’s something that isolib is lacking. I actually have a tutorial on making a simple yet fully working rpg with as3isolib but it’s still in a rough draft since i’m swamped with other projects. I’ll post it as soon as it’s done. I can’t tell you when, though :-). I actually have a tutorial on making a simple yet fully working rpg with as3isolib but it’s still in a rough draft since i’m swamped with other projects. I’ll post it as soon as it’s done. I can’t tell you when, though . Thanks! I’m sure I’m not the only one who would appreciate such a resource. Re: Veer. I’ve been trying to play it ever since I saw it here but it just keeps giving an error message. Ah. I don’t know what’s going on. I’m no longer with the Veer team but I’ll let them know.